Hello & welcome back to a regular Q&A post this week. How to properly expand & grow my eBay sales? Can you get genuine sports jerseys from China? What to do when eBay suspends your account? Is there a “multi shop” shopping cart available? Is 1688.com a legit website? Having followed your advice from EAB and on your blog, I have a few products with great looking listings that sell pretty well on both eBay and Amazon. 1. Buy existing products in greater quantities and start using sea freight (to bring down my cost and selling price and be more competitive). 2. Expand into other products. I could do a bit of both but it would mean half-measures for each. Just to sound out a possible solution… as a large proportion of importing costs seems to be in the transport, would you advise that I try to get smaller orders of different items from various suppliers and put them together to make a few pallets that I can then ship via sea freight? Can this be done when the suppliers are from different areas in China? Maybe this is something that Woodland Global could help with or it could just be too much hassle to arrange from here? Any advice would be welcome! Did you have this problem of expansion when you started out? As for your situation with expanding into new products or trying to bring down the cost of your current items – you really have to look at both options properly and consider the numbers and how it would work out. If your capital is limited, sea freight may actually not be your best bet as you have to keep in mind that it will take roughly 40 days for re-orders to arrive. With limited cash flow this may actually ruin your business (leaving high ranking GTC listings with no stock for too long time a time). But if your cash flow does allow ordering in bulk, i.e. enough for sea freight with some reserve left over to be able to place your next order as and when needed, then yes, you should seriously consider switching to sea freight to bring your costs down. The most important thing of course is margins – so look at how much you currently make and how your margins will be affected by using sea freight rather than couriers. If the difference isn’t that high and you’re already making a decent profit then you would be better served investing in expanding your product range, and sticking with the couriers. That way you make more money as you have more products to sell and you don’t run the risk of stock running out due to long re-order times. Yes, it is possible to consolidate orders from several suppliers based in various regions of China BUT the cost to do this will be quite high, especially if you order less than pallet loads from each supplier. Most likely these added costs will eat up any potential savings you would make by using sea freight. So really there’s no definite answer to this, you really have to look closely at your financials, profits margins, and cash flow to find the best way to invest your profits. I’m just talking to this company, Guangzhou Brilliant Trading Co Ltd, about buying some jerseys – could you please take a look at their profile and let me know what you think? They are a 3rd year gold supplier and trade assurance is also offered for them, but I still have some reservations. Also please let me know if you’ve ever had any complaints about this company from someone else. The company looks okay at first glance BUT all the jerseys that have logos on them – Jeep, Chevrolet, Fly Emirates etc. – those are ALL FAKES!!! You can’t buy such branded/with logo jerseys from China, they’re all unlicensed fakes. If you need genuine, licensed sports team’s jerseys, you need to look for UK or USA based authorised distributors who will have licensed goods for sale. Also, if you plan on selling these on eBay, make sure they’re not prohibited as items like this are classed as high risk, in a similar way to designer clothing and accessories. You should also be ready for PayPal/eBay to ask you for an invoice from your supplier and proof that they are authentic items. I’ve been reading some of your blog posts regarding eBay & PayPal and found the advice you have given others to be extremely helpful. Recently I stumbled upon my own eBay problems and was hoping you could give me some advice on what the best steps to take are? I had been using eBay since around 1998 when I made my first account that I have used exclusively for buying. I have bought many items using that account without any problems and have a 100% feedback score there. This year I decided I wanted to sell some stuff and created a new account registered in Europe. I first bought several small items to get at least a 10+ 100% feedback rating, but when I tried to list an item for sale I quickly noticed that I was not allowed to sell it on the main ebay.com site like I had planned, but only on the regional site, which has a lot less traffic. 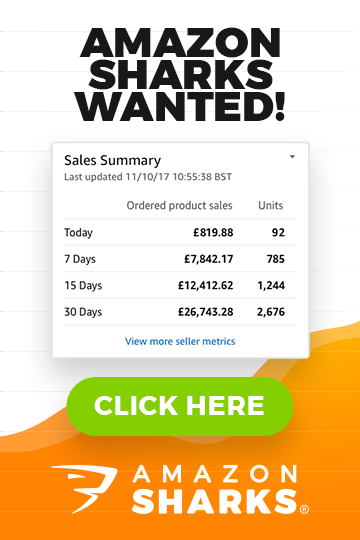 To sell on the international eBay site you have to sell at least 10+ items on the regional site and wait at least 90 days since your first sale. I thought that would take too long, so I decided to create a third account using my family’s address in the US. I might have been a bit too impatient, because I didn’t try to build up this account with positive feedback ratings like I did my other accounts and tried to list the same item that was not allowed to be listed on eBay.com with my second account. It seemingly worked without any problem initially, but I scheduled it for three weeks ahead so the actual listing wasn’t live yet. I then noticed that on this account I was limited to 5 items per month so although my first item was listed for less than $40, I thought it would be better to try some $0.99 listings first and therefore deleted the other item. So I created one listing for some used stamps (that I never listed on any other account) and when I tried to list them I got a warning message stating are you sure these are genuine stamps and other guideline links. I read through these guidelines and I was pretty sure I did everything according to the rules, so I listed this item for sale (about 3 weeks after the account was created). The next day I get an email saying that my account is suspended indefinitely. Since I got that message immediately after I listed this item and no other listings were active, I assume it has something to do with the stamps? These are used stamps with cancellation markings which are 100% authentic and exactly the same stamps are listed on eBay.com right now by many other sellers. – Your eBay account has been suspended indefinitely. If it’s not the stamps, I don’t really have a clue what else could have been the cause for my suspension. I have read on your blog that eBay allows multiple accounts, so that couldn’t be the problem, could it? Currently only my third account is suspended, so is there anything I can do to make sure that my other accounts aren’t suspended as well? Also is there anything I could do to appeal the situation and get my 3rd account reinstated as I believe the suspension to be unfair? I haven’t opened any of my eBay accounts since the suspension, but I did use the same IP address for all 3 accounts, since I figured if I did everything according to the rules, there shouldn’t be any problems. Now I’m thinking that that was a mistake and another thing that won’t help is all three of my accounts are linked to the same PayPal account, even though a different email address was used. Also the shipping address on the third account is the same as the registration address on the first two accounts. Are my other two accounts at risk now, because of the links to my suspended account? What can I do to salvage the first two accounts and/or get my third account reinstated? Any help would be really appreciated. From what you’ve told me, they probably suspended your account due to suspicious activity – registering multiple accounts to different address, one in the US, one regional etc. is definitely something that would trigger their security systems. And most likely yes, all your accounts will get suspended soon too as that’s the normal procedure on eBay when they suspend an account. Really the only advice I can give you is to call eBay and try to find out exactly what’s going on! Insist that it’s a mistake and that you haven’t intentionally done anything wrong etc. etc. and try to find out what you can do to fix the problem. If they don’t answer you properly, try to speak with a different rep. and if that doesn’t work, ask to speak to a supervisor. I’m afraid this is really the only way you can try to get back on track, as with all the links, it’s nearly 100% that your other accounts will be suspended shortly as well, so your best bet is to try to speak to eBay directly, explain what has happened and see if there’s anything you can do. As in where I can create the website and then other users/companies can create their own store within my website. Yes, there are many such services & software available but I haven’t personally used them so can’t really comment on which one is best etc. You want to do some Google research on your own, using the phrases “multi shop shopping cart” and “multi vendor shopping cart”. Just don’t mix up solutions that only offer management of multiple shops that YOU own. You need a system that caters for multiple vendors where other people can create stores and sell under your website. My name is Salvatore and I’m from Italy. I wanted to know what you think of 1688.com (a Chinese Alibaba) as the prices are much lower than AliExpress or even Alibaba itself? Thanks and congratulations on the great blog! Yes, 1688.com is a completely legit website and it’s actually owned by the Alibaba group. It’s basically a local Chinese B2B platform. I haven’t personally used it so can’t give much advice on it but I know that there are companies/websites out there that do assisted purchases from 1688.com on a commission basis. I will probably do a test order in the up-coming months and do a blog post about it. If you do a search for assisted purchases from 1688 or Taobao on Google, you will find many companies that do this, even individual agents with listings on Ali Express. Ok, that’s it for today. 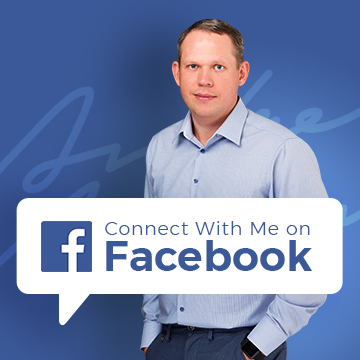 If you have any questions I can help you with, please submit a ticket via my support center here and you might be featured on a future Q&A post. Thanks as always for the post, always something useful to read up on. I’m interested in the 1688/Taobao sites and assisted purchases too. I found my current supplier on Taobao is about 3 times cheaper than my last purchase on Aliexpress. In fact my last purchase was supposedly a bulk deal of 3000 pcs whereas the Taobao price is for a single one! I will def. do a test/review post on this in future on my blog as I feel many people will benefit from it. Well, I thought I’d give you a little update. I exchanged a few emails with a couple of agents, but I was never 100% convinced of how trustworthy they would be, or indeed whether they could be bothered with dealing with a few of my more complex requests when ordering custom items. Instead I went direct to the seller I’ve previously been buying off Aliexpress. He was very happy to continue custom with me, at Taobao prices, and he’s also agreed to act as an agent for other sellers’ products (with a small commission). I’m very happy at this, as I know he’s trustworthy having dealt with a few times. I know I’m not paying rock bottom prices, but at least I know I’m near the domestic market price rather than the inflated export market price. He’ll be getting all orders shipped to Shenzhen port where it will be combined with another factories order I have previously placed, and hopefully all dealt with by Woodlands group. It might be worth trying if other people are in a similar situations. I think if you find someone reliable, and with good communication then it’s worthwhile. Thanks for your update Paul! I received your answer about Alabama some thing like that ? This time it is about China Check Up where you have to pay monies up front to find about these companies.? and the likes of Western Union .It all seems Fraught with Danger ?? I must admit I had never ever heard of such goings on before and I’m 87 age wise ! !